Why is it so many kitchens were designed to actually be dysfunctional? With just a few added tools and materials, you can create more storage and get your kitchen organized with this kitchen cabinet door organizer project. This kitchen cabinet door organizer is attaches to your existing cabinet door. 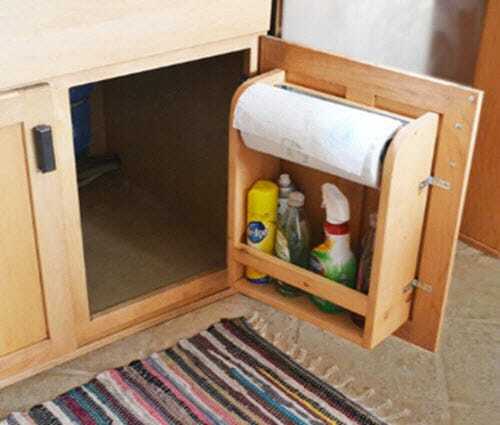 While intended for the kitchen, this organizer also can give you more space in a laundry room or bathroom. Instead of paper towels, hang a cloth towel instead. Or, swap out the paper towel holder for another shelf.